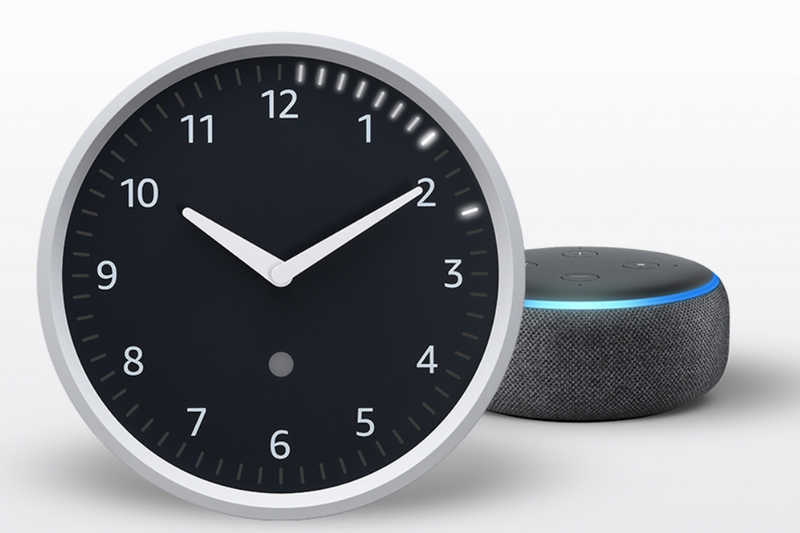 Amazon’s $29.99 Echo Wall Clock is now here to complete the set of minimalist Alexa devices (including a smart microwave and outlet plug) that the company announced earlier this year. Like some of those other products, the analog Wall Clock doesn’t actually have a mic for Alexa built in; it’s meant for those who already own an Echo. If you do, you can have it display timers, alarms, and reminders through voice commands. The Echo Wall Clock runs on 4 AA batteries and needs to be synced to an Echo device through a quick setup process that requires Bluetooth and a Wi-Fi connection. But you can do it all through voice without having to pull out your phone. It has 60 LEDs running around the clock’s face, so you can look at multiple timers and alarms at once, which honestly sounds stressful to me. The Wall Clock features a white bezel — there’s no black model — and has a 10-inch diameter. Amazon says it automatically adjusts for daylight saving time. Everything you need for mounting comes included in the box. Some examples Amazon envisions for how you might use the clock include setting a pasta or steak timer while cooking, limiting a child’s screen time, setting a high-intensity interval workout timer, a reminder to leave for work on time, or giving yourself a timer for meditation. Timers and meditation just don’t seem to jive, but the others sound reasonable enough, especially when most digital clocks on your phone or computer won’t have such a large interface to watch the time tick down. Posted in Blog, Tech Corner, Tech Corner and tagged #2019, #amazon, #announcement, #cheap, #christmas, #echo, #gifts, #mcsc, #messiah, $30\, clock, The Messiah.